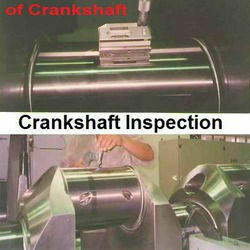 We undertake Audit & Inspection of Marine Engine and Spares. We thoroughly inspect the new and second hand engine and parts to ensure that the spares are as per the Manufacturer specification and perform satisfactory. Further, we also perform activities of technical consultation, inspection, supplier qualification, apart from site Q.A. / Q.C. service in the Power Generation field. Comprehending the special requirements of its customers, we, RA Power Solutions have created mutually beneficial associations with ship breaking companies that are based in Alang ship breaking yards, west coast of India and Bangladesh. As a reputed engineering company, we have made sure that we offer only the thoroughly inspected parts to our clients. Consequently, we submit a report that covers all the major sub assemblies that are supported with the photographs. RA Power is known as the standard of excellence for audit & inspection services of new and second hand engines and parts. We provide technical consultation, inspection, supplier qualification, besides site Q.A. / Q.C. services in the Power Generation field. We ensure timely and highly qualified actions all over the world. We can also undertake audit & inspection services at the supplier workshop to verify whether all the dimensions and tolerances are in accordance with the limits specified by the manufactures. Our highly skilled technical engineers can develop Q. C. P. and procedures according to the contract. 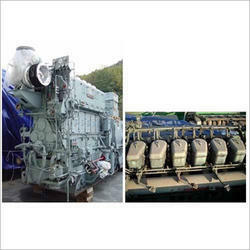 Complete inspection of main and auxiliary engine of marine and industrial. Resourcing of engines and components from ship breaking yards supported with calibration certificate. 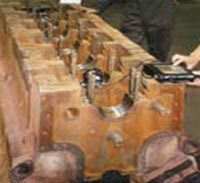 We are one of the most trusted name of the industry for providing On Site Engine Block Inspection Services to our customers. Our services are widely used in various sectors. These are highly admired for their quality. Our services are easily available at a very low market prices.